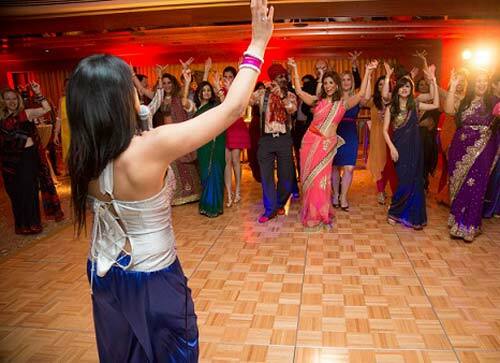 Bollywood dance performances are the perfect addition to any event! 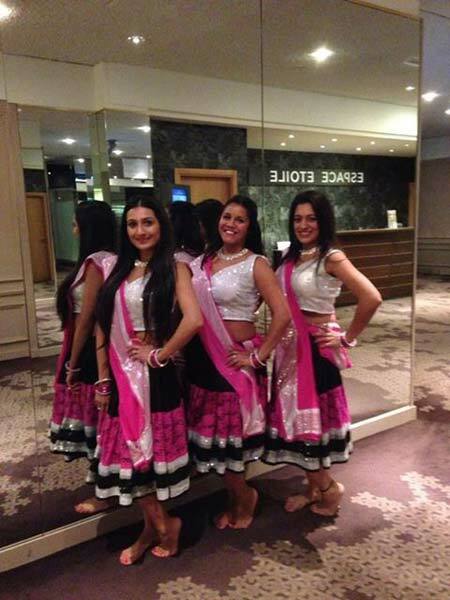 These professional dancers offer the following packages as well as bespoke performances. Do let us know exactly what you are after so they can create the most suitable entertainment for your special day. 2 Dancers: 1 x 10 minute Medley. Prices start from £350. Interactive Workshop available upon request. 3 Dancers: 2 x 10 minute Medleys plus a short interactive workshop to get all your guests up on the dance floor learning a few moves to get them started. Prices start from £450. 3 Dancers: 3 x 10 minute medleys. Prices start from £550. 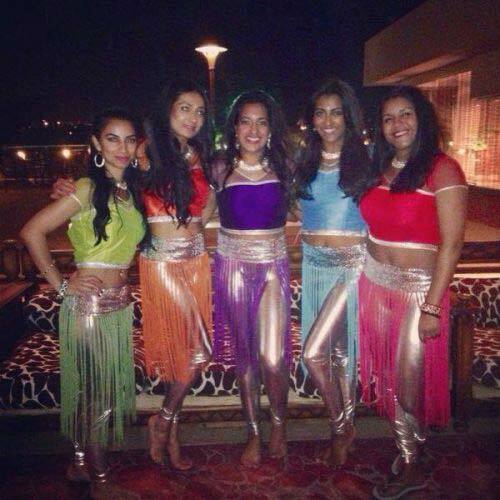 The Ultimate Bollywood hen party experience is guaranteed to be fun and memorable. Our highly experienced warm and friendly dance instructors will show your group how to get your Bollywood groove on in this tailor-made dance lesson. We can choreograph a short routine to the song of your choice or you can choose one from our own extensive music library. The final routine can also be filmed and photographed so the bride-to-be can capture all the special memories from the day. We can organise your hen party at your chosen location or in one of our preferred studios. Extra dancers can be added to any of the above packages at £150 per dancer. Asian Awards, Asian Bride, Asian Bride Magazine and Show, Asian Curry Awards, BNP Paribas, British Asian Trust – Curry awards in Aberdeen, Dubai Summer Surprises, GAN Awards Germany, Globoil Awards Mumbai, Heineken, Hinduja Hospital, HSBC, London Mela, Mars UK, Mckinsey UK, United Airlines.